In need of some inspiration? 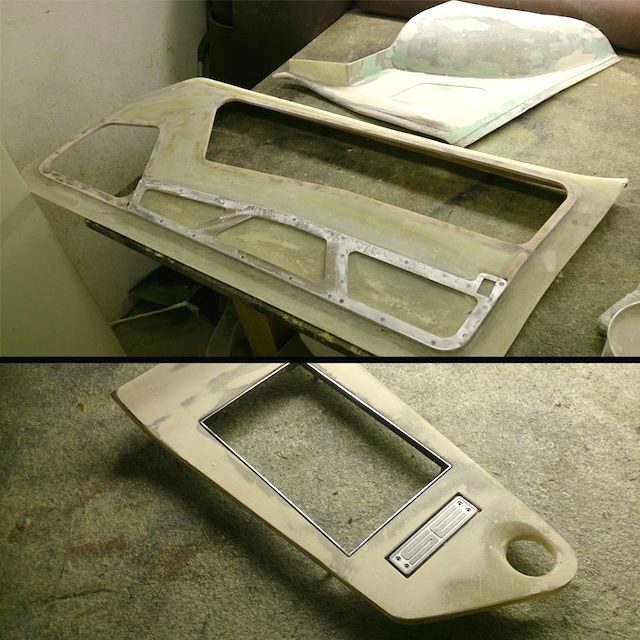 Check out this custom 1971 Pontiac Firebird Formula interior completed by SideEffect Ltd. in Tallinn, Estonia. 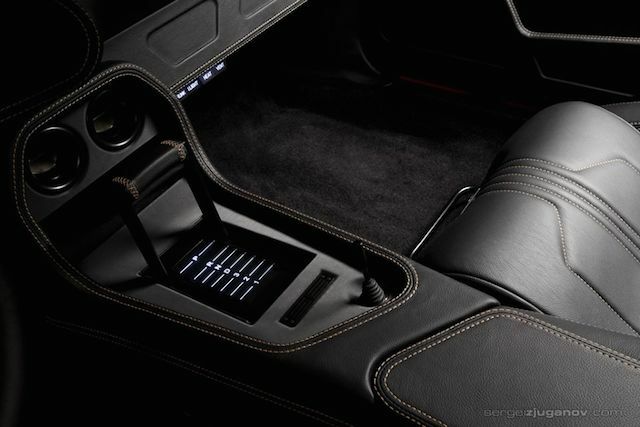 The one-off cabin features an incredible amount of custom fabrication — including a heavily modified dashboard, door panels made from scratch, four handmade bucket seats and one of the nicest center consoles I’ve ever seen. 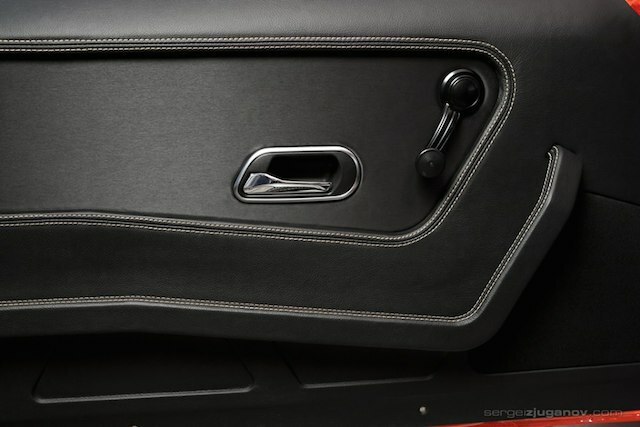 The finished product is a stunning, modern and sporty interior wrapped in black leather with bronze contrast stitching. 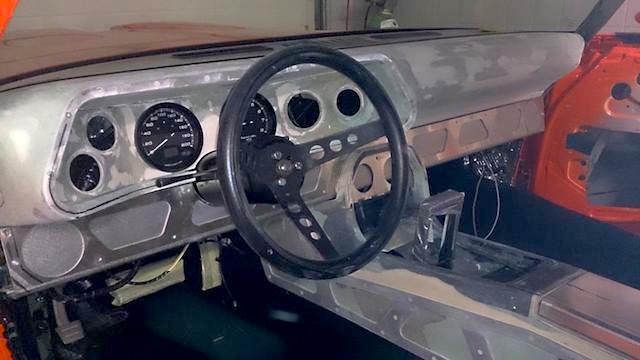 The custom interior, which took an estimated 900 hours to complete, was the most labor-intensive project that SideEffect Ltd. had ever taken on, shop owner Argo Kaur told The Hog Ring. “This was a lengthy project mainly because I hadn’t done a custom project of this scale before. … I’ve always been fond of technical design. 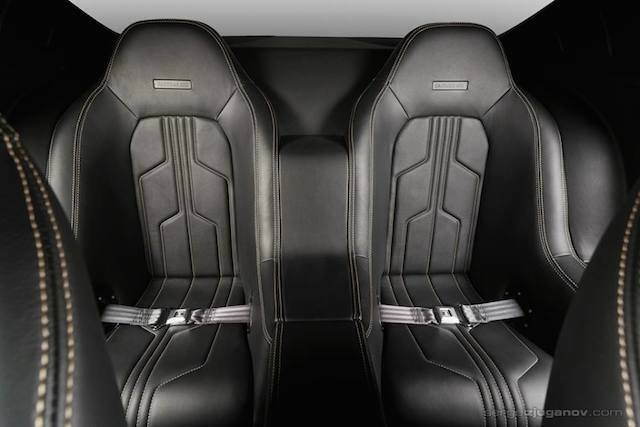 I had the idea for an interior such as this in the back of my mind for a while, just never came across a suitable car for it,” Argo explained. 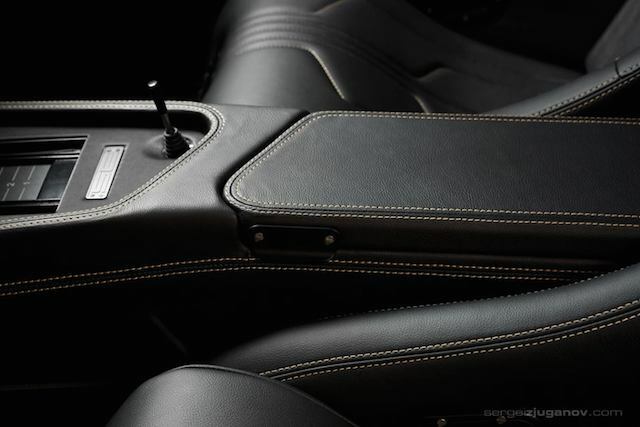 Once the right customer with the right car came along, Argo hit the ground running — fabricating and upholstering nearly every component of the interior by hand. 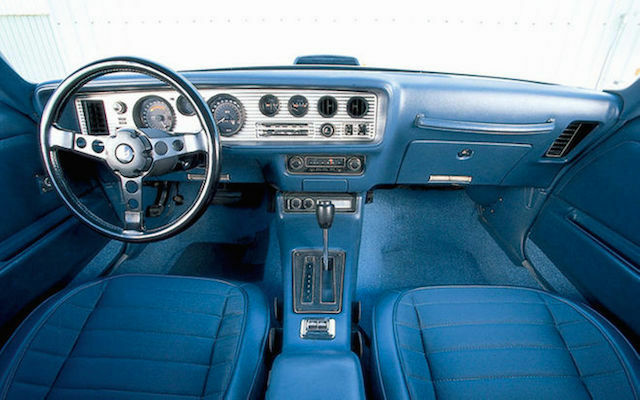 To truly appreciate what SideEffect Ltd. created, check out the custom interior alongside a photo of a stock ’71 Firebird. In some places the differences are drastic and in others more subtle. Altogether, it’s a true work of art. As for the hot rod scene in Argo’s Eastern European homeland, he says it’s blossoming. To see more of Argo’s work, visit SideEffect Ltd.’s website and Facebook page. 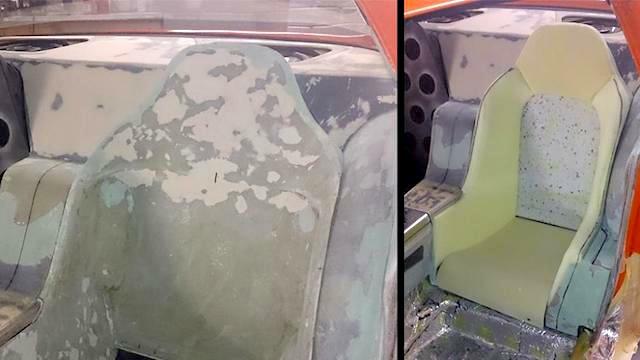 Filed Under: Archive, THR Favorites, Upholstery Showcase Tagged With: 1967 Pontiac Firebird, 1971 Pontiac Firebird, Auto Trim, Car Interior, Pontiac Firebird, SideEffect Ltd.
Beautiful work. My question is – did you get paid for all of those 900 hours? At our shop rate, that would mean at least a $60,000 interior. Custom interiors are great and offer a lot to both customers and interior artists, but there’s often a lot of volunteer work involved. 900 hrs is a load! If he didnt recoup in pay, fingers crossed he got it in press. Sometimes you gotta take it on the chin at first to build that rep. Then, BANG, hit em with the big bill on future projects. I love the speed boat style shifter! We are not near 66/6 eur /h work rate…. 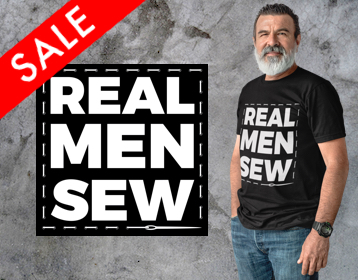 so yes, order them now and get them cheap. PS. Ypu can order several trips to europe + spas+ repaint car VS. do ONE of these things in US.